The front of your home is most vulnerable to intruders as well as privacy intrusion. Whether it's nosy neighbours peeking in or a front bedroom where you sleep during the day, it's important to feel safe & protected at home. 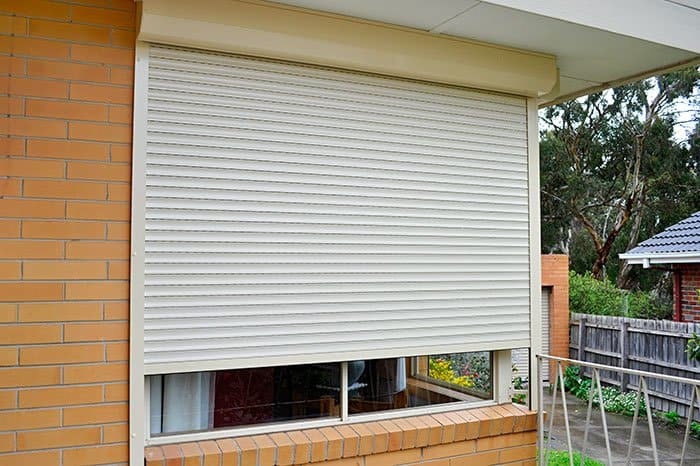 This cream shutter is a tricky installation with no corner to connect to the shutter. Both shutters needed to be attached to a support rail and matched up to provide maximum security & strength. The shutters provide maximum privacy for a very open room in this home.